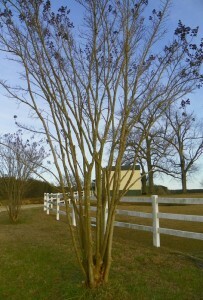 This crape myrtle has not been pruned in years. 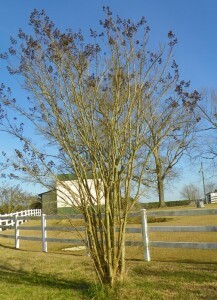 It has many crossing branches and too many stems. Crossing branches were removed first. 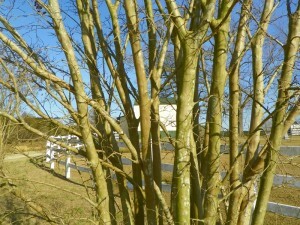 Small twiggy stems on the lower branches were removed to give the tree a neater appearance. 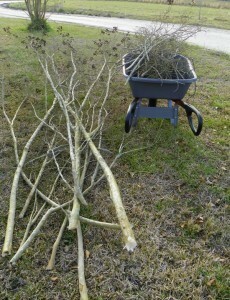 All of this was pruned out of one tree. 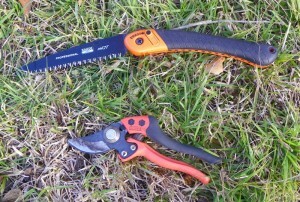 Hand pruners and a pruning saw were the only tools used. 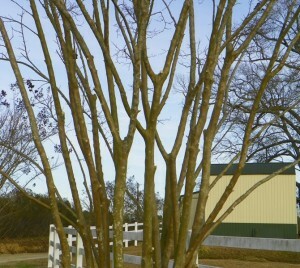 Here is the tree after pruning. 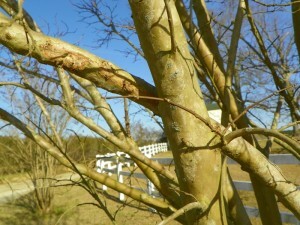 Crossing and inward growing branches have been removed. 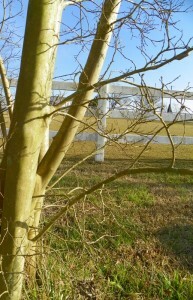 This helps open the center of the tree, giving the tree a more pleasing appearance.